I was recently asked again to design the artwork and promo materials for the Converge PacWest Men's Retreat coming up in March. The theme of Fighting the Good Fight is one that will challenge men to be soldiers for Christ, so I wanted the emphasis to be simple and all about the armor of God. 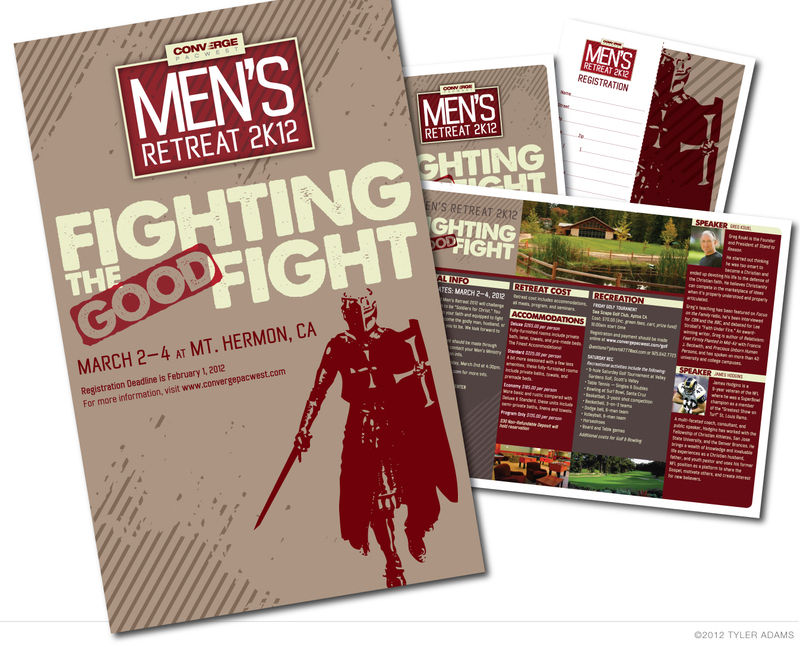 If you are interested in learning more about the retreat, visit convergepacwest.com.